Grand Bend plays host to the largest Canada Day fireworks display in southwestern Ontario. A live concert and the fireworks take place on Grand Bend Main Beach. The events are FREE and family friendly. Please check out our Event Information. Thank you to all of our 2017 Donors! Your sponsorship and donations make the Grand Bend Canada Day Celebrations possible! 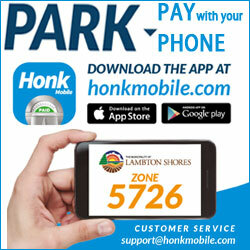 There are several municipal parking lots throughout Grand Bend – click here to view parking options and locate lots. Beach lot parking is available, but please note, Main St. is closed to vehicular traffic when the fireworks begin at 10:00 pm. Main St. is reopened to vehicles following the fireworks show and after pedestrians have walked up the street. As a result, long lineups occur in the Main Beach parking lots often taking more than an hour to clear.